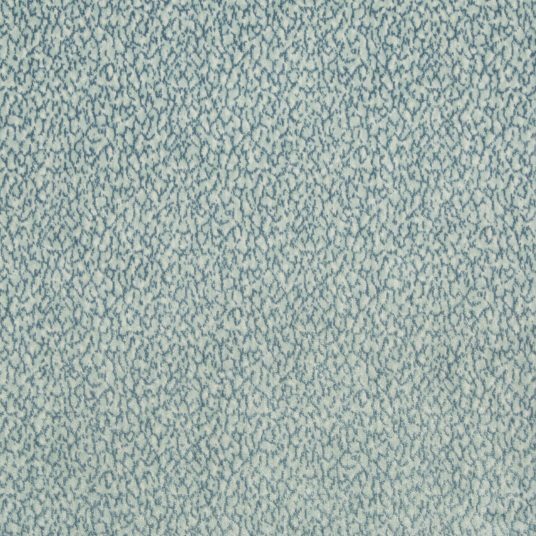 Jeffrey Alan Marks picks up where he left off with his soothing second collection: Oceanview. 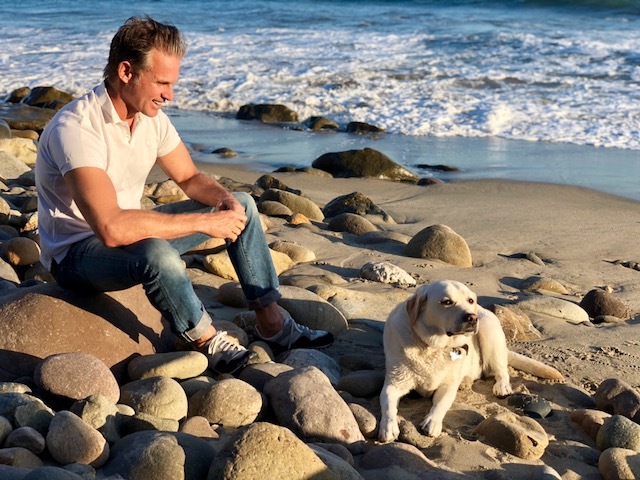 Jeffrey says his inspiration comes from the sea and spending days on the beach with his dog, Coal. 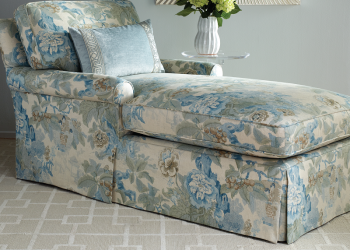 Oceanview seeks to create a relaxed upscale retreat, mixing fashionable fabrics and decorative trimmings. 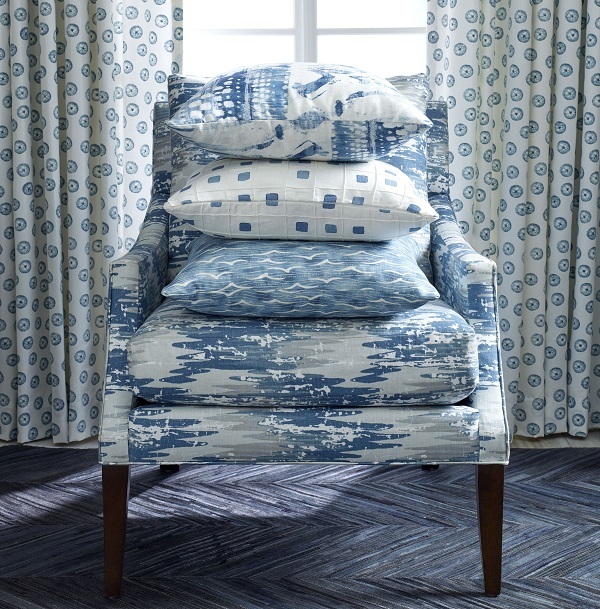 Inspired by serene ocean waves, the collection offers powder blue and subdued chalk white as a classic pairing, while also incorporating linen and grey neutrals with pops of citrine, Indigo, and teal. 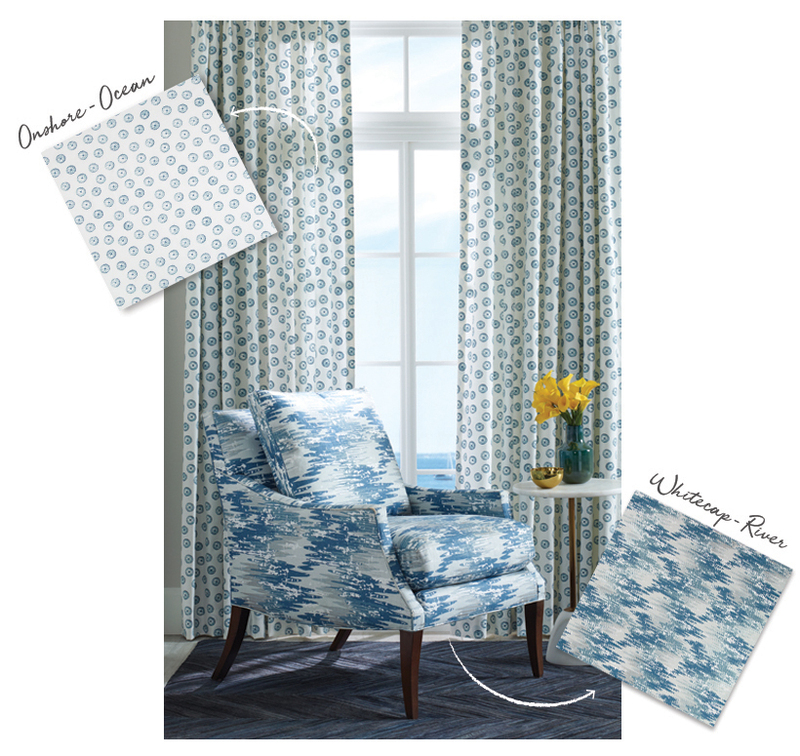 Marks says a major color inspiration for him was imagining the sea under the shining moonlight. 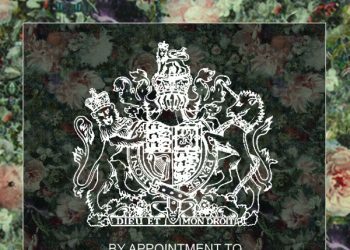 Some of this collection’s highlights include a variety of printed and woven textures, as well as fresh contemporary sheers. 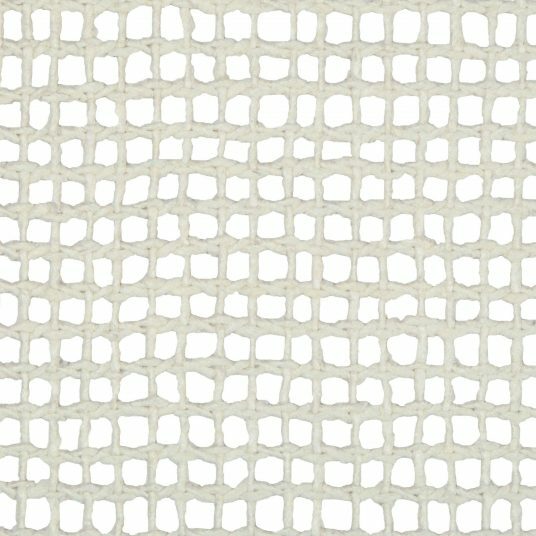 GRIDWORK is a modern print that is then pin-tucked with embroidery pleats, KAHUNA and LITTLEROCK are textured velvets, and for the window, LACHMAN is a contemporary take on a fishing net made of 100% silk. 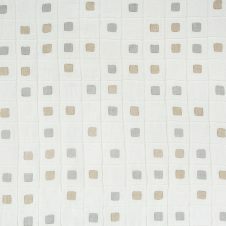 The collection also includes two washed linen sheers, LUNADA and TEMESCAL, offered in soft neutral colorways. 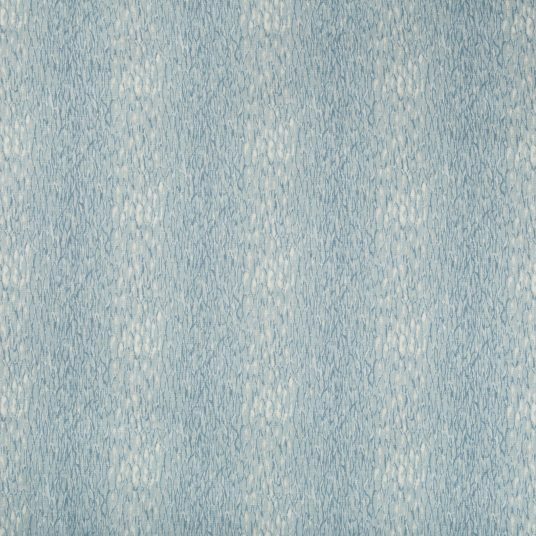 Other patterns originate from the Kravet archive, like IMMERSIVE, a heavy jacquard chenille; WHITECAP, a screen-printed pattern that mirrors its namesake tidal influence; and SURFWOOD, updated using a modern teal color. 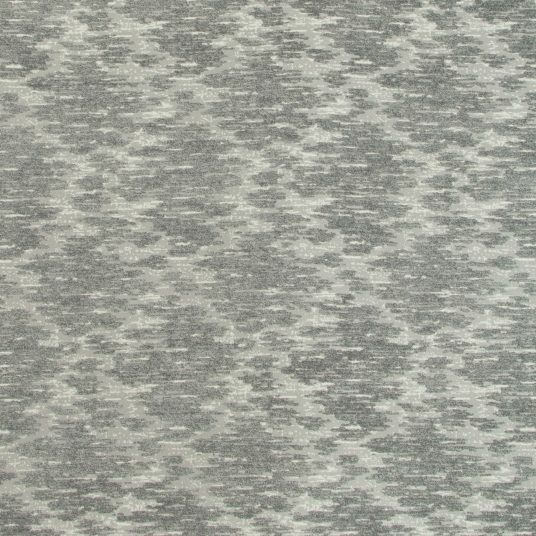 Jeffrey says he designs with homeowners in mind, so he strives for livability when creating fabrics. 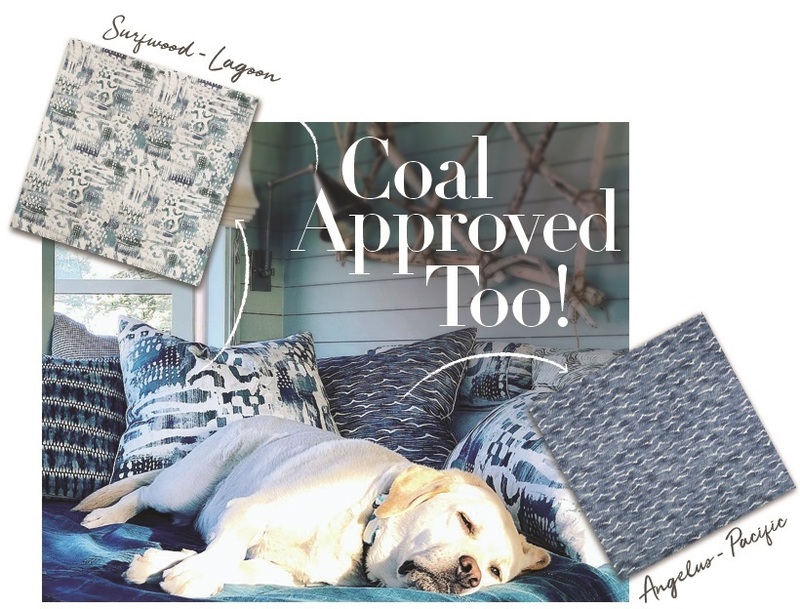 Looks like his pal Coal thinks these soothing fabrics are doing the job just fine! 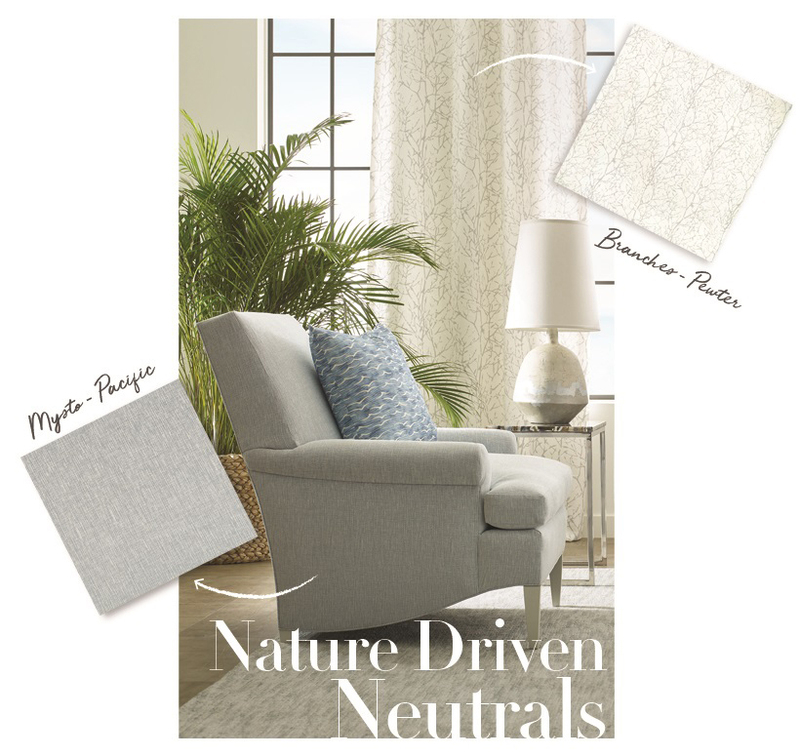 Marks also includes an updated color story for some of his best-selling prints: BRANCHES, a modern silhouette of trees, and CHROMIS, an ethereal printed texture with metallic accents. 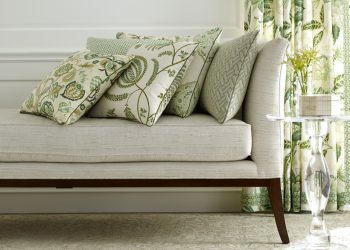 Oceanview includes three unique trimmings made to complement the fabrics in this collection and offer the opportunity to personalize each design. 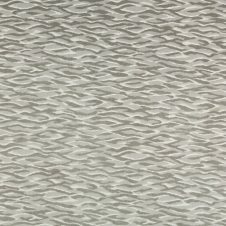 FISHERMAN’S NET includes a wide cotton border and natural twine cording to resemble an actual fishing net; SHELL COLLECTOR is a naturally dyed cotton indigo ground embellished with seashells and cotton rope; and WAVE CURL features a freestyle embroidered design inspired by undulating ocean waves. 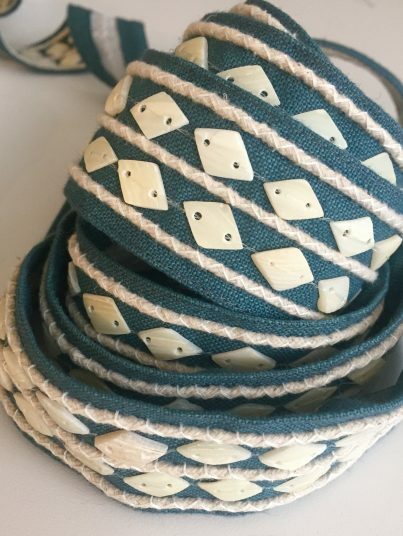 Firmly rooted in a coastal living lifestyle, Marks naturally gravitates to all things inherent to nature; honing in on sea shells, jute, cotton and linen. 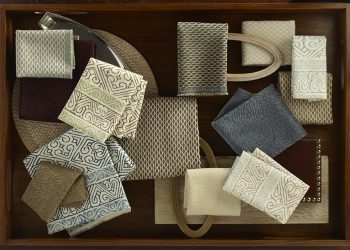 This small collection of border band trimmings provides the perfect accent to the polished fabrics in this collection. Wow…. this is amazing. I just love the blue sofa. This is looking awesome. Thanks for sharing the post.